Grand Island’s locally owned full service retirement community offering Independent Living, Assisted Living and Memory Care all under one roof! Built on Trust, Riverside Lodge has set the standard for retirement living for 25 years. 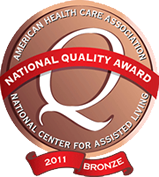 Our locally owned and operated facility has specialized in assisted and independent living in the Grand Island area since 1988. We are proud to announce that we now offer Memory Support on our campus. With the addition of Memory Support, Riverside Lodge Retirement Community is the only facility in Grand Island offering Independent Living, Assisted Living and Memory Support all under one roof. At Riverside Lodge you will experience a new way of life…a carefree, secure and independent lifestyle with a unique blend of privacy, friendship and freedom. Come experience retirement living with us! Riverside Lodge Retirement Community in Grand Island received the Best Programming Award for National Assisted Living Week in 2008, 2011 and 2014 from the Nebraska Health Care Association/Nebraska Assisted Living Association. 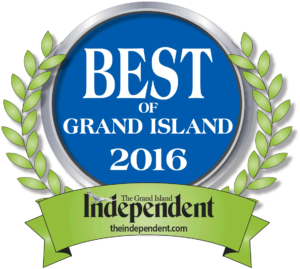 Voted Best in Grand Island AGAIN!